Alinghi SUI 1 and Okalys-Corum fought for the title of the Grand-Prix Corum until the last leg. In Geneva, the titans fight took place between Okalys-Corum of Nicolas Grange and Alinghi SUI 1 of Ernesto Bertarelli. After a two day regatta, it’s Okalys-Corum who was leading by one point. The two legs of the day have changed all the rankings. In total, the twelve D35 will have run 6 legs. Geneva 10th may 2009 – Like yesterday, the day started by a long wait. A beginning of wind arrived at about 12h15, which put all the teams of the Challenge Julius Baer in movement. A first leg won by Okalys-Corum, helmed by Loïck Peyron had been launched at 13h45 with a wind between 5 and 10 knots. Alinghi SU 1 ended just behind thanks to its great larboard start, the sails went just passed the start boat. One hour later, the decisive leg started in a weakened wind and nearly not existing for the last competitors. 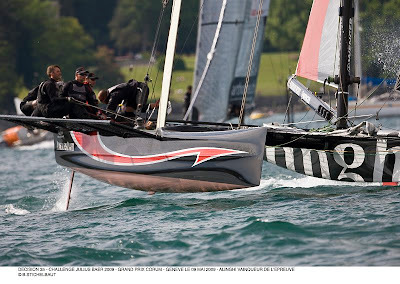 After a shortcut, Alinghi SUI1 won the leg, as well as the Grand-Prix Corum. 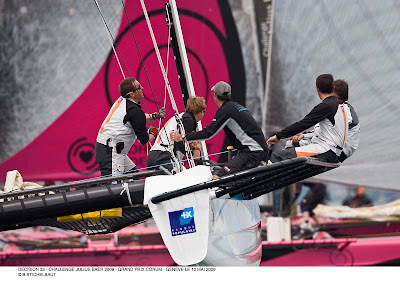 Just behind Zebra 7, the crew of young people led by Denis Girardet, then Julius-Baer of Philippe Cardis. This week-end didn’t stop changing between a non existing wind and a strong, nearly to strong wind. 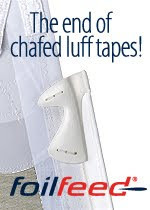 It devoted Alinghi SUI 1 of Ernesto Bertarelli, who confirms its victory of the Challenge Julius Baer 2008 despite its multiple reinforcements of the crew. 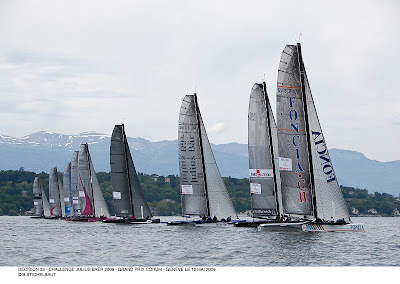 Okalys-Corum from Nicolas Grange finished at the second place just under the wire. This team which hasn’t changed since 4 years proves that the experience of the D35 and of the water plan stays most important. On the 3rd step of the podium, we find Julius Baer which has been powered up by 4 teams from Courrier dunkerk into Mumm 30 Alain Gautier on Foncia ends for his part at one place of the podium. He’s followed by Zen Too from Guy Picciotto, assisted by Pierre Pennec. Newly arrived on the race, Alinghi SUI 6, with on its board the kernel of Alinghi from the America’s Cup and Veltigroup from Marco Simeoni helmed by Stève Ravussin, classify respectively at the 6th and 7th place. Alinghi SUI 6 ends at one place which partially reflects their verry good end of regatta. 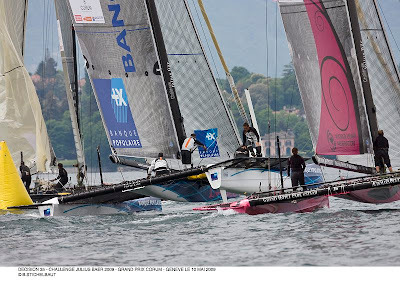 The girls of Ladycat from Dona Bertarelli Spaeth and helmed by Karine Fauconnier are at the 8th place despite their exceptional second place in very rough conditions. The youngest team of the Grand-Prix Corum, also finished their regatta at the second place, and classify 9th of the general classification.